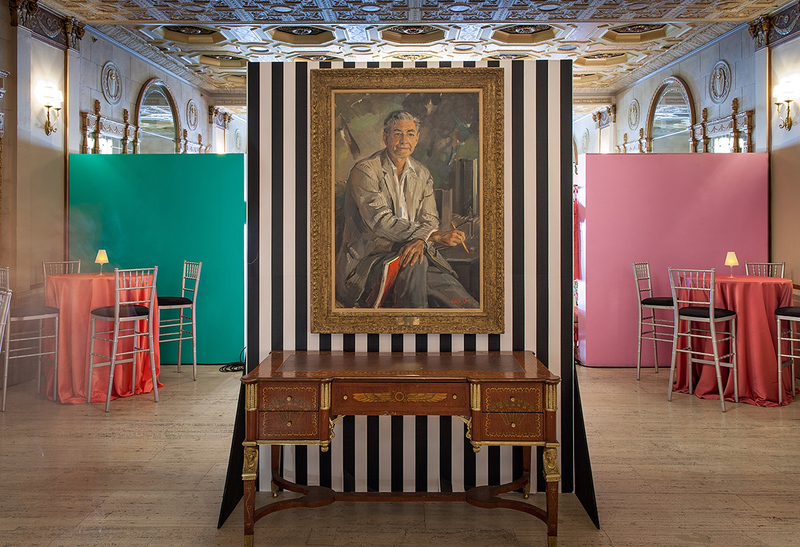 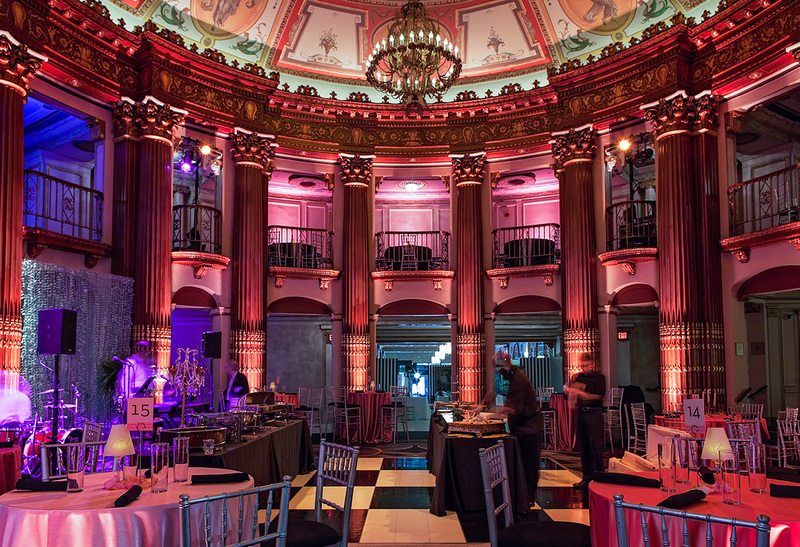 Each year, Cleveland Play House throws a big, fancy party to raise money for artistic and education programming. 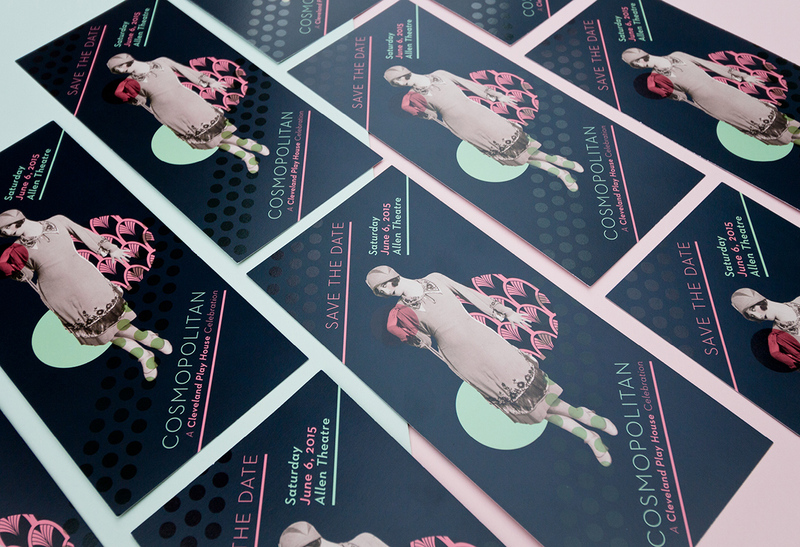 Save the dates and invitations are a patron's first points of contact with the event, so they need to evoke the finest soirée. 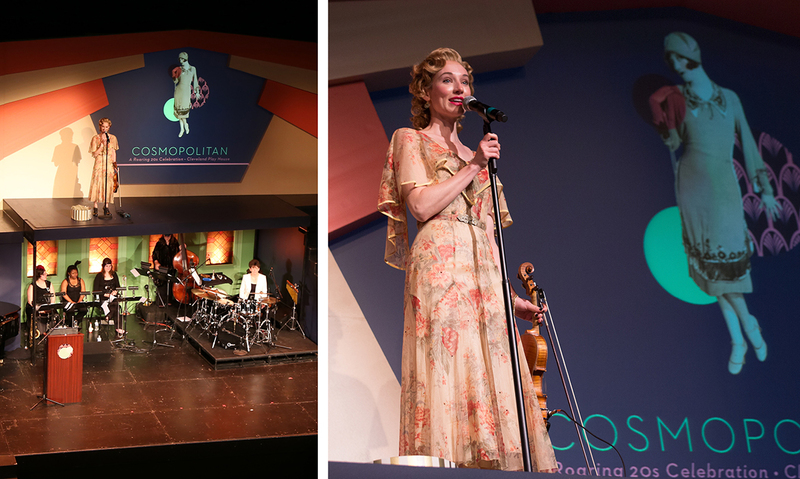 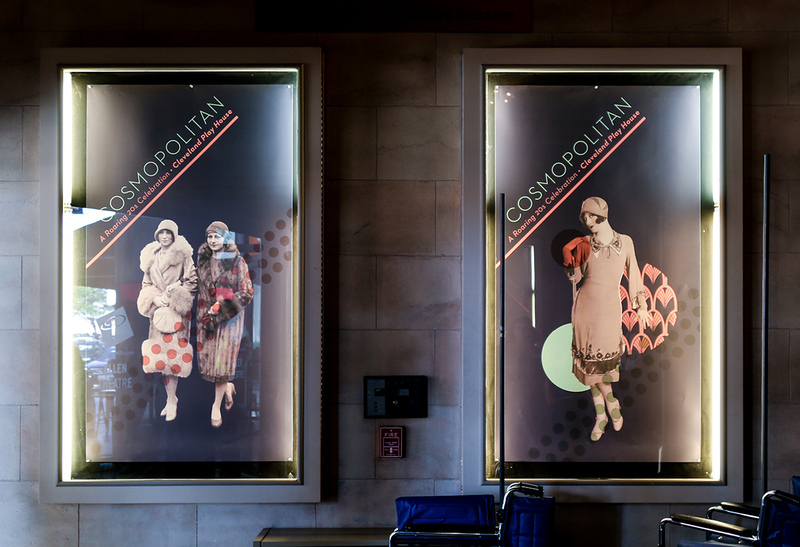 The 2015 benefit theme is "a roaring 20's celebration." 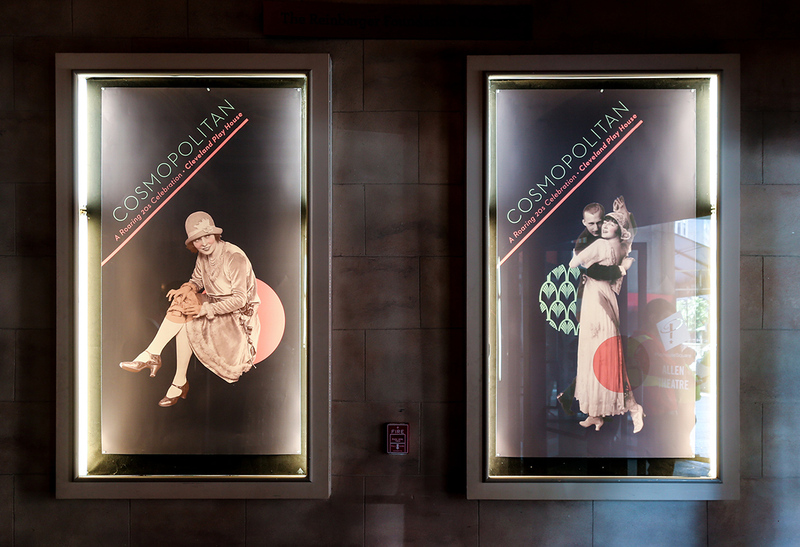 Collaged images of glamorous ladies and dapper gents are the stars of the design, while an art deco pattern, dynamic lines, and spot gloss accents finish the look. 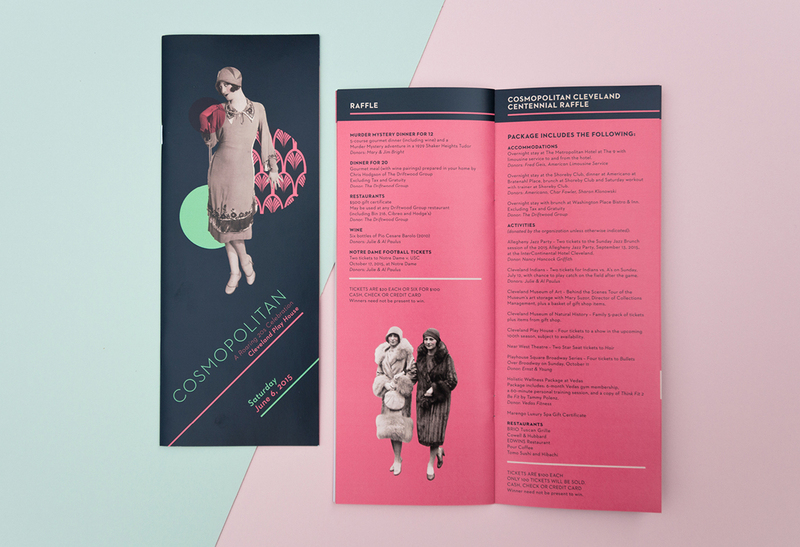 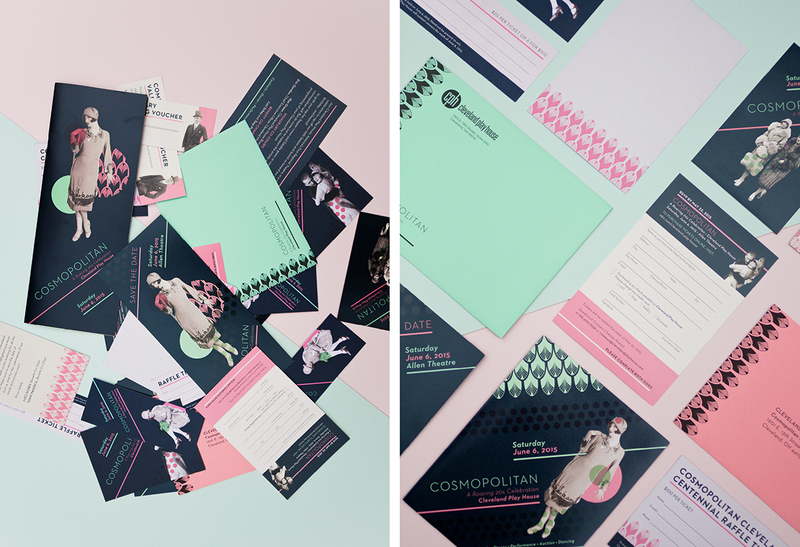 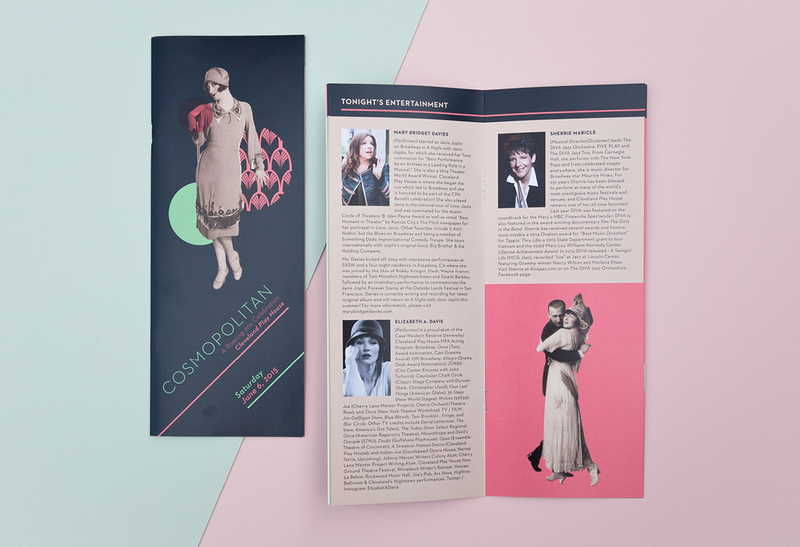 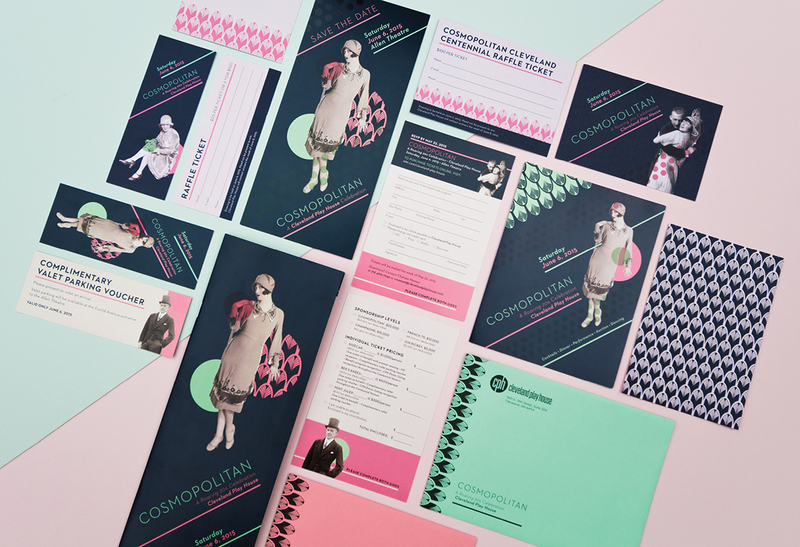 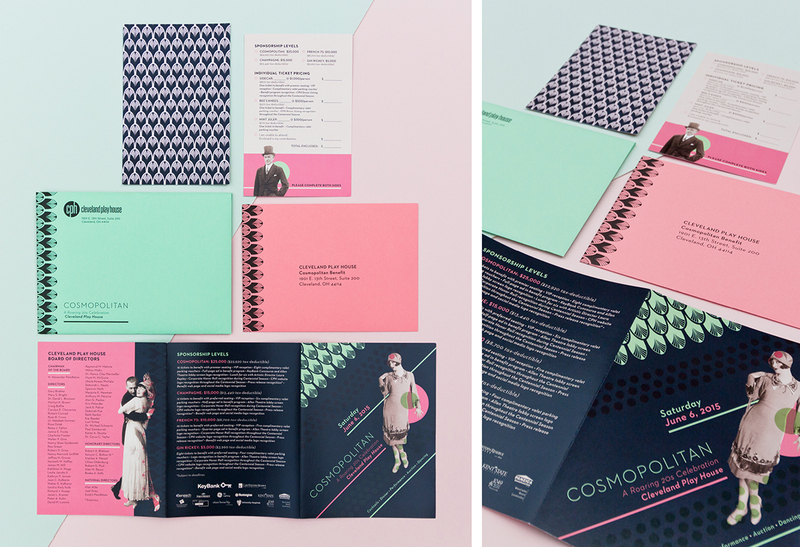 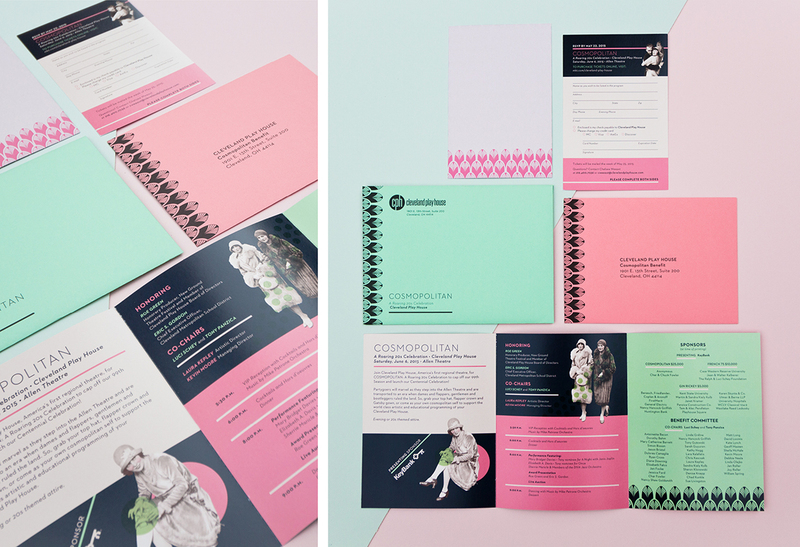 Mint green and peachy pink, inspired by a Tamara de Lempicka painting, pop against navy blue and cream backgrounds.